Well guys, as promised, I am back on track and would be posting awesome wedding stories from across the globe regularly now. I have recently relocated but I make sure I have access to a PC and internet so that I am not disconnected from you guys. Thank you so much for loving the blog and reading all our stories, the couples are also really psyched that they are able to help newbies like you. Me: Do tell me a little about both of you (where you live, where you work, how you met etc.). Them: We live in Melbourne, Australia. I, Shweta, work with Telstra while Anjan my hubby dearest works with Ford. Me: Your story in a line? Them: “To get the full value of joy, you must have someone to divide it with.” Mark Twain. Me: And a little more in detail? "Starting then and in the weeks and months to come, we embarked on a wonderful journey of discovering each other; the things we had in common, the things we admired in each other and most importantly the things we loved about each other"
"I excitedly started with planning our wedding, supported by our loving parents, family and friends. 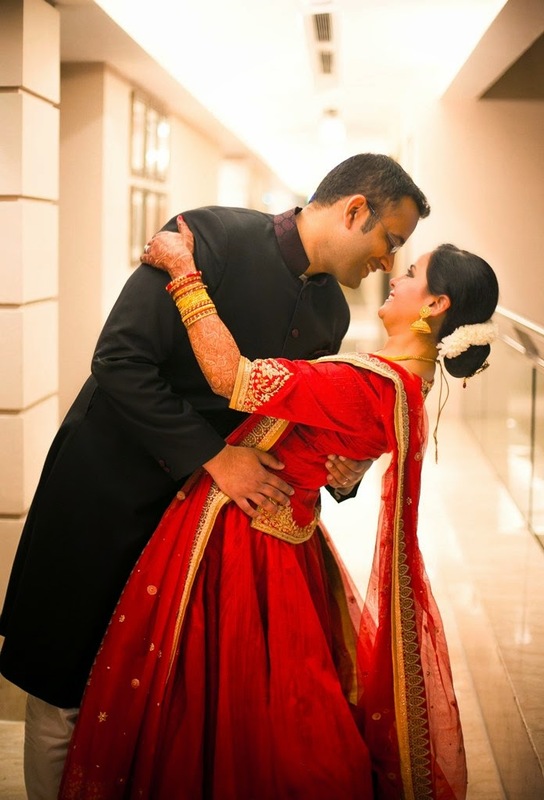 On the 25th January 2014, at a beautiful sea side location just outside of Chennai, we promised our love and committed to each other as wife and husband"
"Anjan describes me (Shweta) as bubbly, honest, kind and most of all a loving person who always has "a million things to say" Hahaha! Yes, I am talkative like that ;) Anjan is a very calm, patient and sensitive person who is extremely caring towards everyone around him. I think he is the funniest person I have ever met and because of him I smile some more and laugh some more"
Me: The costume designer, makeup artist, caterer, jeweler you guys hired and why? How was your experience with them? Lastly any suggestions to all the soon to be married people? 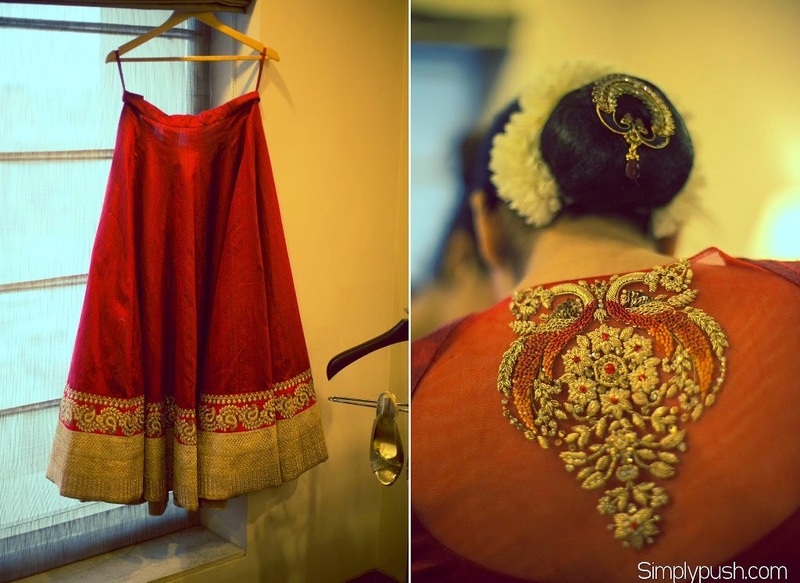 Them: "Makeup Artist - Pallavi Sharma, Delhi. I knew what I wanted, she was recommended to me by one of my close friends and she worked wonders for me! Me: What was your experience while clicking the pictures? Any favourite shots from this particular shoot? Any thoughts about the couple and message for them? 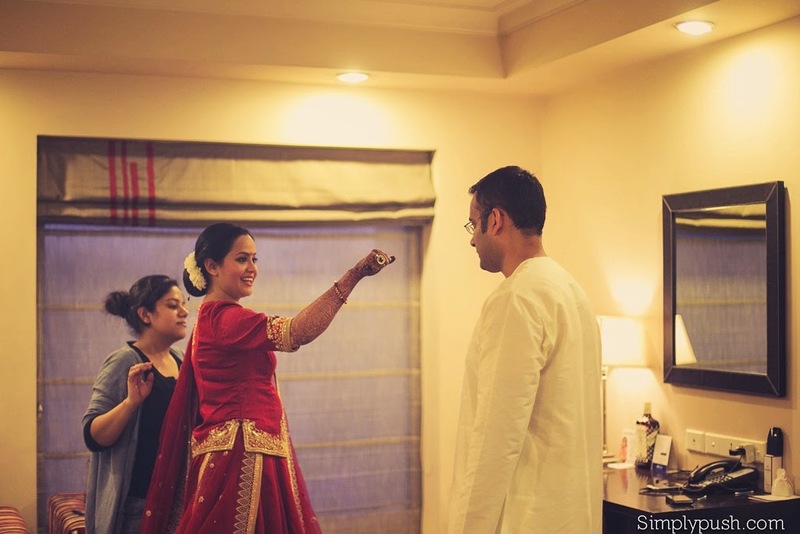 Simplypush: Shweta is an awesome human being. I really liked her as a human being, soft spoke, classy and very elegant. Although since beginning only I had a change to speak and converse with Shweta only but Anjan too is a really nice human being. The couple were ready and flexible in terms of ideas and shoot. We had been exchanging ideas about how can we shoot, if there can be something on a theme lines or if there was a perfect shot that the couple wanted. 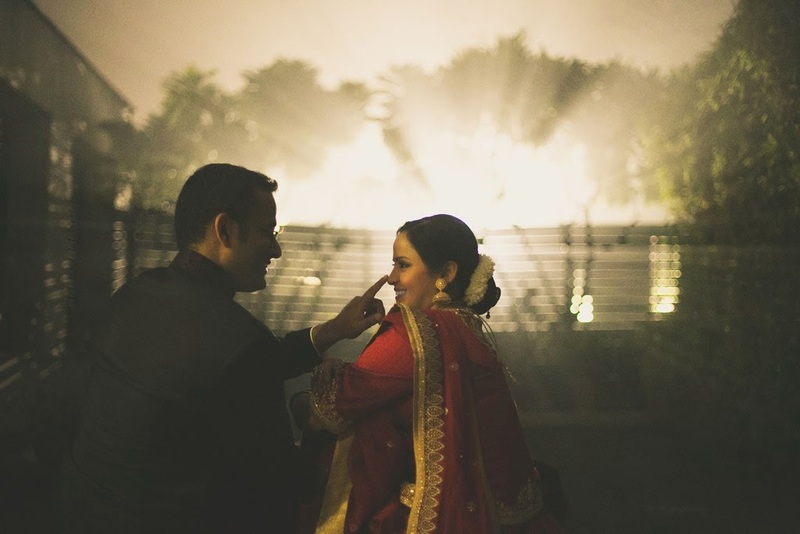 I still remember the couple said yes and we did a shoot once after the reception at Noida got over, it was a winter foggy night and we did a shoot outside around 10pm too and it turned it quiet well. Great interview with this lovely couple. I can see and feel the love through their pictures and interview. great interview - love their story!! This love story is great but I also love the pictures! What a beautiful quote to describe the love they have for each other. Lovely couple with beautiful love story. Thank you soo much for the feature.